KISS' crew tirelessly continues work on the massive new KISS stage this morning at Friends Arena Stadium. They have been working non-stop since arriving in Sweden two days ago. Last night, KISS ran through a full production rehearsal, spending over seven hours at the stadium. 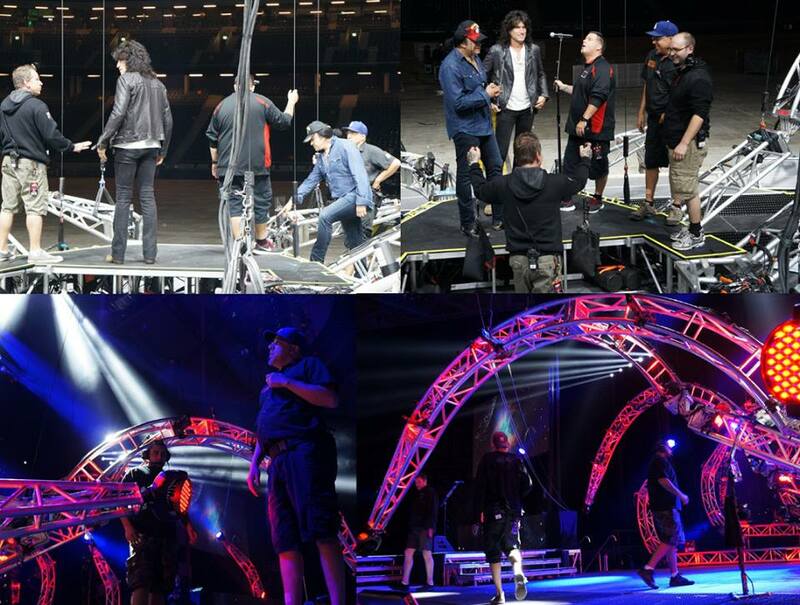 Top photos: Gene Simmons and Tommy Thayer are discussing the new stage with the Crew. Bottom photos: Here's a sneak peek of a small section of the new KISS stage as crew members work to get everything in place for tonight's world premiere of the brand new stage. It is AMAZING!